Everybody's talking about Michelle Obama's speech at the Democratic National Convention. More specifically, one comment, referencing the White House as having been built by slaves, has raised questions and controversy (despite that being a fact) and has had several voicing their own opinions on the matter. Enter Bill O'Reilly, host of The O'Reilly Factor on Fox News. 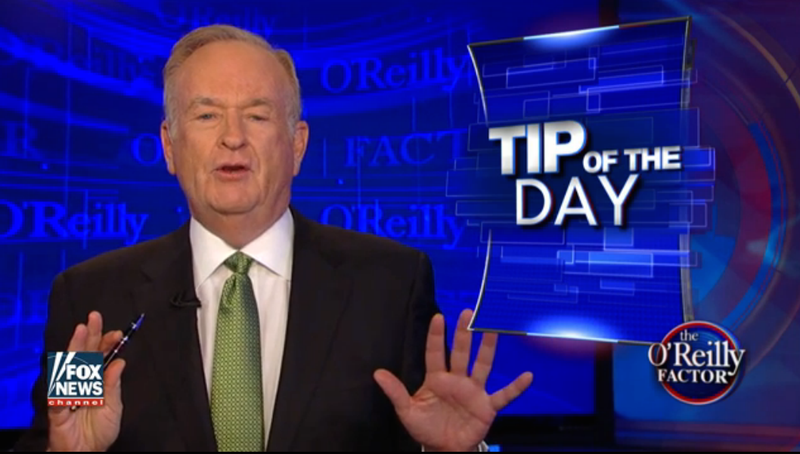 For the "Tip of the Day" Tuesday, O'Reilly mentioned the first lady's speech, acknowledging that "Obama referenced slaves building the White House in referring to the evolution of America in a positive way." He then walked through several other facts about the White House, saying, "Slaves did participate in the construction of the White House. Records show about 400 payments made to slave masters between 1795 and 1801. In addition, free blacks, whites and immigrants also worked on the massive building." O'Reilly then made it a point to make clear that the slaves who worked on the construction of the White House were "well-fed and had decent lodgings provided by the government." So, first some people refused to believe that the White House was built by slaves. Now O'Reilly is confirming that it was, in fact, built by slaves, but hey, at least they had good food and lodgings?